More from Ora: Dan Harmon on the ‘Community’ movie: "It will happen"
Comedian and actor Jerrod Carmichael joins Larry to discuss tackling cable-style topics on network TV with ‘The Carmichael Show,’ the loss of nuance in comedy’s knee-jerk responses to Donald Trump, and losing a role model in Bill Cosby. 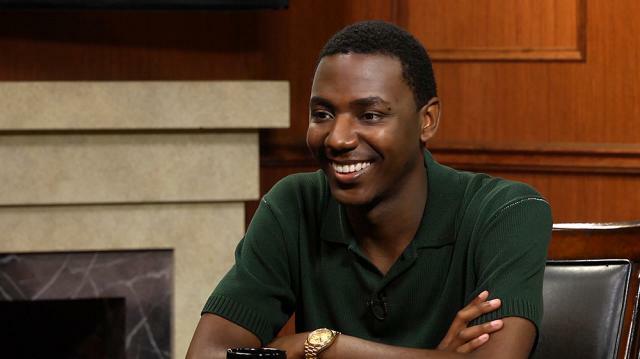 Larry King sits down with Jerrod Carmichael, the co-creator and star of ‘The Carmichael Show’. Carmichael discusses creating the ‘The Carmichael Show’ and taking on controversial topics in the series. The star speaks to working with the NBC network and achieving his lifelong dream of having a television show on that platform. Larry King transitions into the subject of Donald Trump. The comedian expresses his concerns about the President’s influence on people and culture. Larry King and Carmichael bonded over growing up poor and jokingly reflected on moments when they were reminded of their socioeconomic standing. The comedian turned actor guides Larry King through his journey of becoming a stand up comedian and building his career. Finally, Larry King and Jerrod Carmichael discuss his upcoming role as Jimmy in ‘Transformers: The Last Knight’, working with Mark Wahlberg, and his experience being involved in such a large scale production for the first time.